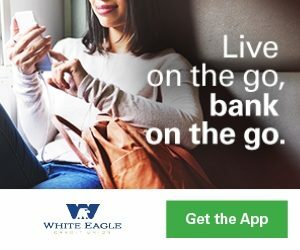 At White Eagle, we have checking accounts perfect for just about everyone, along with the convenience and friendly, personal service we’re known for. And, of course, you’ll have unlimited access to our online Virtual Branch 24 hours a day. Explore our checking options, and find the account that’s right for you. 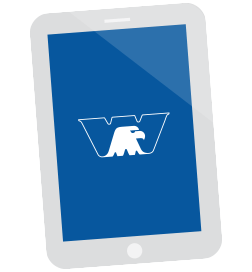 FREE WEOnline Tools – WEPay, WEBudget and More! *If your Instant Vista Debit Card is lost, stolen or needs replaced – there will be a $7.50 fee for replacement. Running low on checks? Follow the link below and reorder them online today. Make sure and have your reorder form handy so you can fill out the necessary information. *Note you won’t be able to change shipping address or check address. * Minimum reorder time is 60 days allowed between orders. *** You will be leaving the White Eagle Website for the Mainstreet Reorder Form. Our mobile app gives you access to mobile deposit, so you can deposit checks anytime from anywhere and save yourself a trip to your branch. 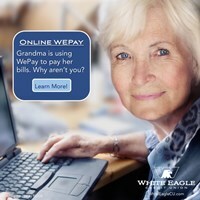 Grandma is Using WePay Why Aren't You?